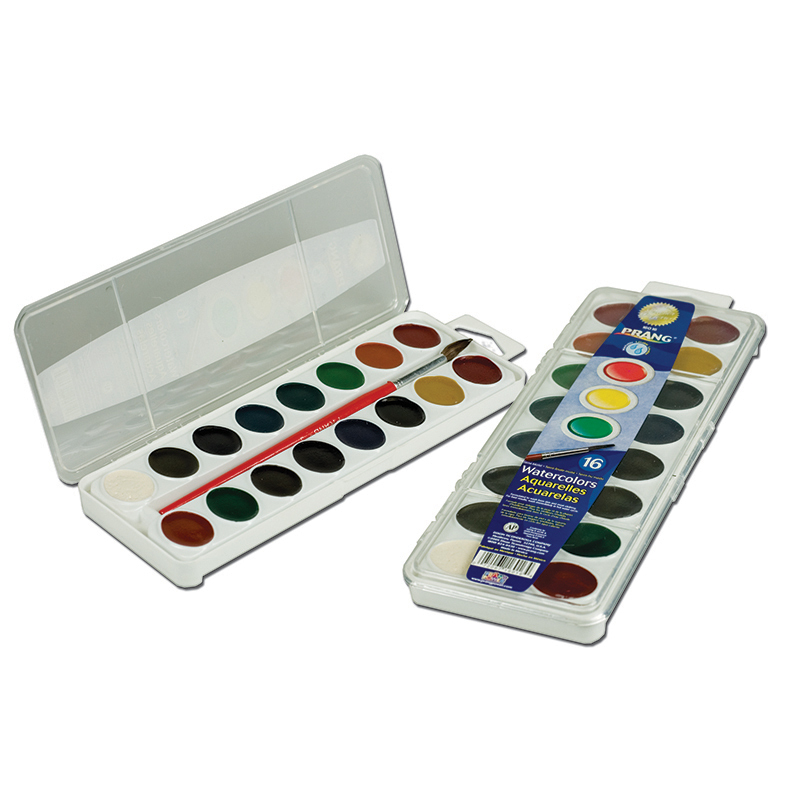 Half pan watercolor sets hold the same quality semi-moist paint that have made Prang famous with generations of students and professional artists. Paint never dries out. Box lid doubles as a mixing tray. 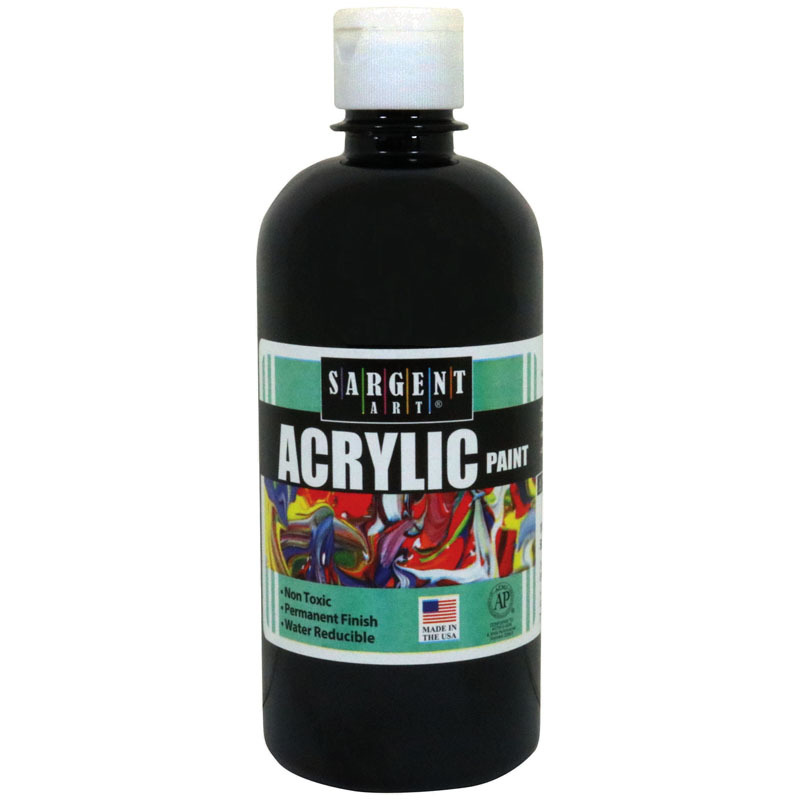 Superior color in a handy case. Refills are available. AP certified non-toxic. 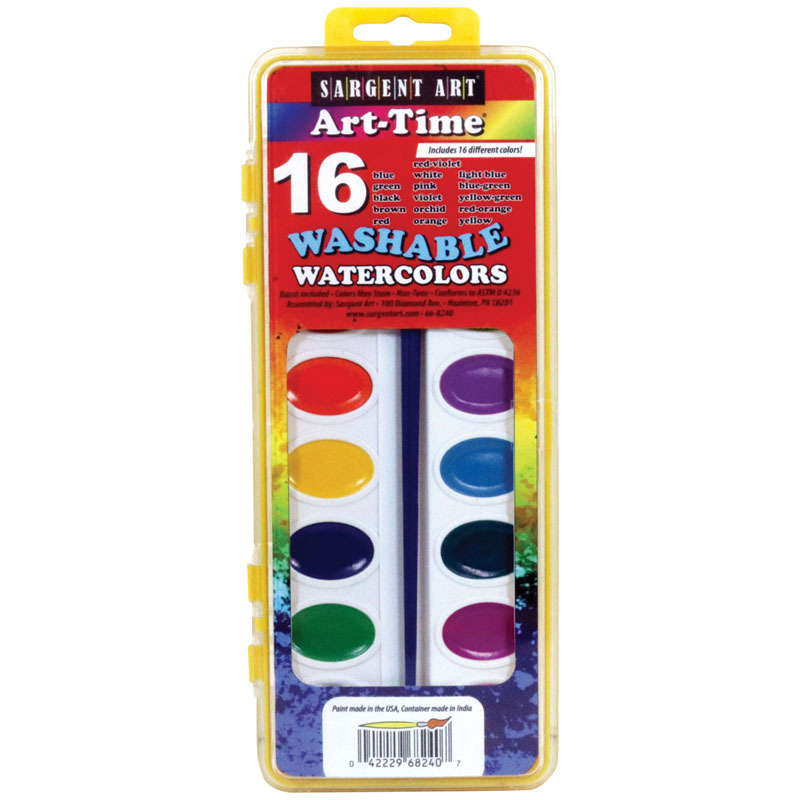 The 16 Washable Water Color Set W/brush can be found in our Paint product category within the Arts & Crafts.